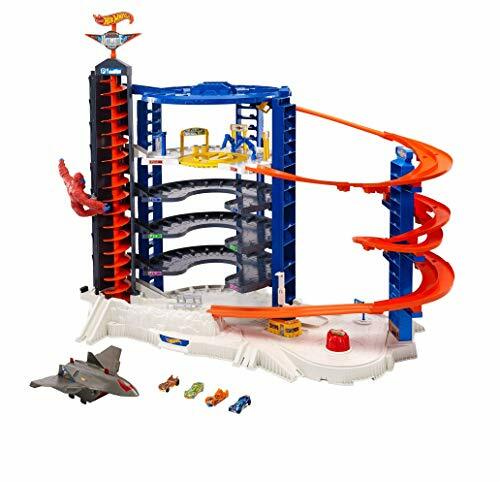 Explore the Hot Wheels Super Ultimate Garage for endless storytelling possibilities and opportunities for heroic, save-the-day moments! 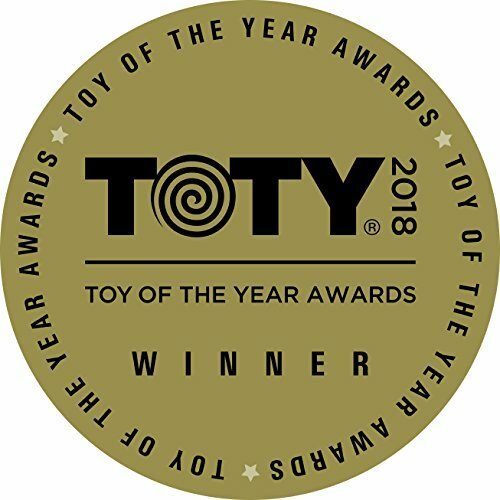 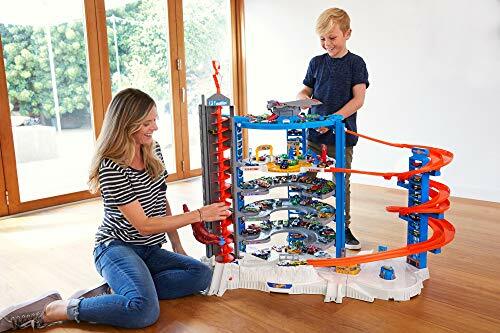 Standing over 3 feet tall and storing over 140 cars, this is the biggest Hot Wheels playset ever! 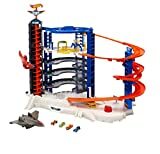 Fuel your kid’s imagination exploring the different, exciting play zones, like the drive-up diner and car wash; the dynamic, moving parts, including a motorized elevator; a massive jet plane with a penthouse landing pad; and a menacing gorilla determined to swipe your cars out of the elevator. 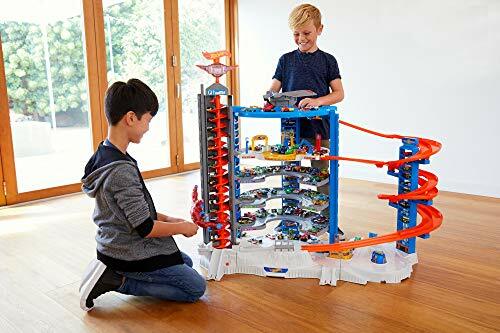 Crank up the competition with a thrilling side-by-side racetrack that starts at the penthouse so they can race their friends the Hot Wheels way! 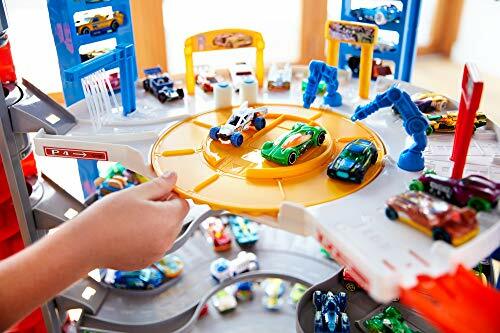 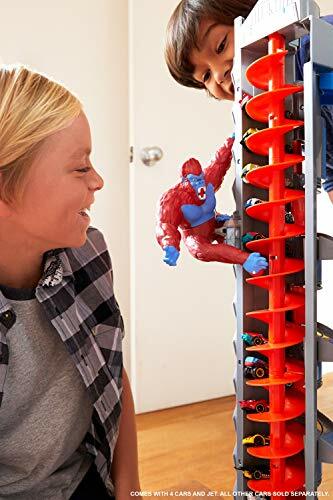 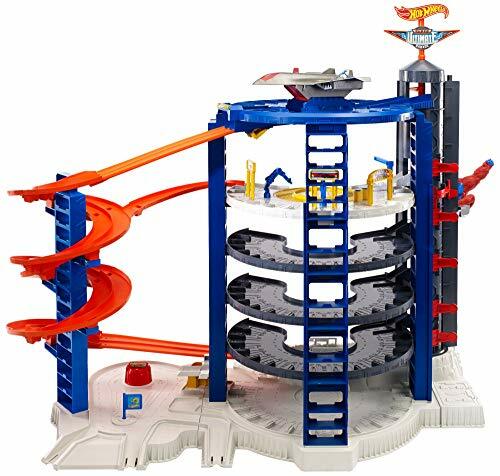 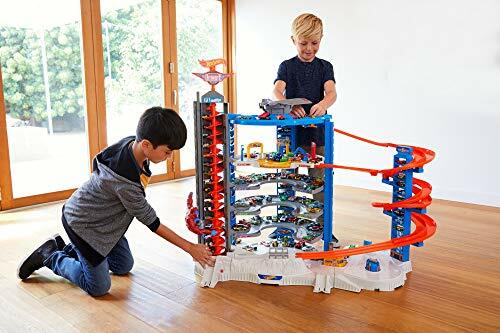 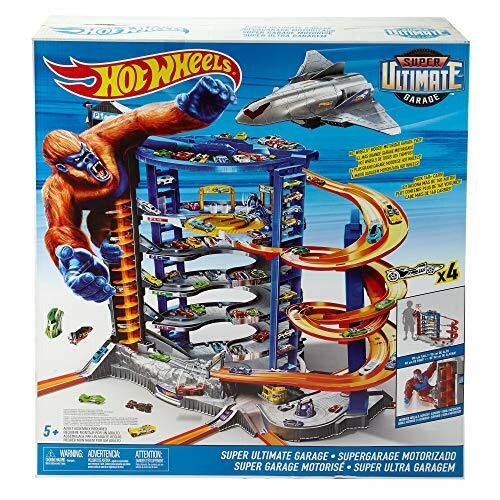 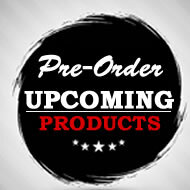 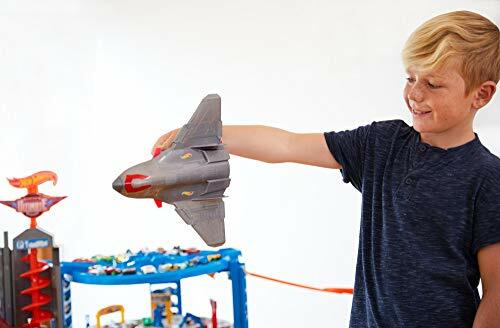 The garage also has multiple connections points so they can connect to other Hot Wheels sets for a customizable world of track and play. 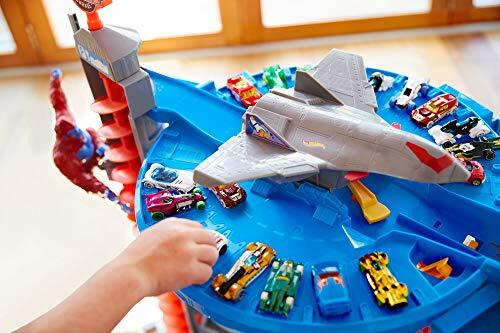 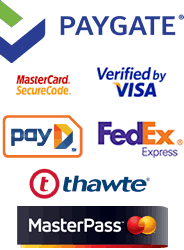 Includes 4 cars and 1 Jet plane.